Mick Fennell made his choice of colleges based on his choice of positions. He wanted to both pitch and play in the field, according to The Pittsburgh Post-Gazette. Coach Mike Conte at California University of Pennsylvania allowed him to do that, The Post-Gazette wrote. "There is precedent at Cal for dual-role players and Mick fits that role very well because of his talents," Conte told The Post-Gazette. "He has tremendous work ethic and a great passion for the game." Conte turned coach after being a player himself. He also welcomed the dual-role Fennell after playing a dual role himself as a pro, just not at the same time. Conte started his career in the field, then turned to pitching later. He didn't make the majors in either role. Conte's career began in 1989, taken by the Athletics in the 19th round of the draft out of Virginia Tech. Conte played his first year with the Athletics an outfielder at short-season Southern Oregon. He hit .302 in 61 games. He went 2 for 7 in a July 15-inning game. 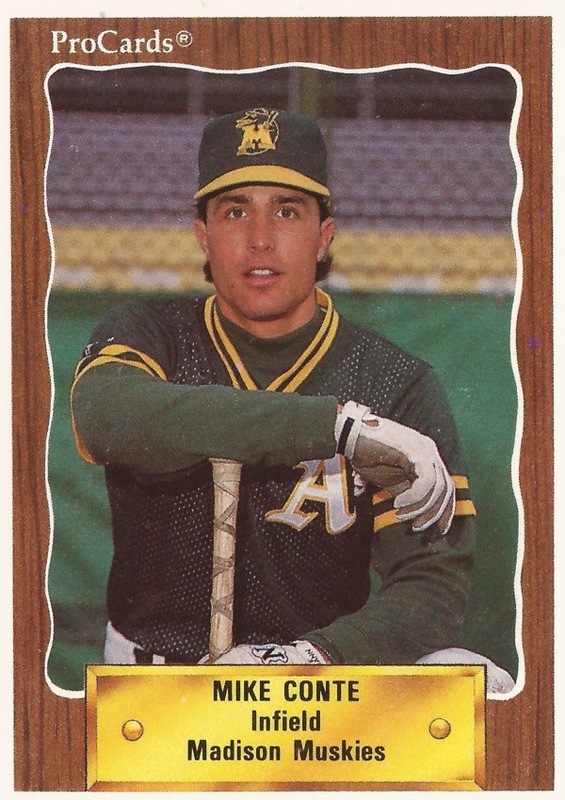 He split 1990 between single-A Madison and high-A Modesto. He it .215 between them with 10 home runs. Conte played 1991 mostly at AA Huntsville. He hit .228 in 104 games there. He knocked in a run on a single in an August game. He drove in two on a double in another August contest. Conte returned to Huntsville and the outfield for 1992, hitting .238. He also got into five games in relief as a pitcher. He then took on his other role full time. Conte got into 24 games, starting seven, playing between short-season Southern Oregon and high-A San Bernardino. Between the two levels, he had an ERA of 8.86. It was his final season as a pro. Conte then turned to coaching, starting as an assistant coach at California in 1994. He made head coach in 1997 and he's continued in that role in 2015. Through 2013, he had a record of 485-330-4 and his teams had won two conference championships. In 2010, Conte watched over a young Randy Sturgill, who had come back from a shoulder injury to be a top pitcher on the team, according to The Pittsburgh Tribune. "To rebound from an injury like that is amazing," Conte told The Tribune. "It's a credit to his work ethic and his level of seriousness. He is the epitome of what a top pitcher should be."